The website for making reservations for the 2019 AMD Masonic Week has been up and running for a while now, and it's just about a month away. This annual event will be held a little later this year than in the past: February 21-24, 2018, once again at the Hyatt Regency Hotel in the Crystal City area of Arlington, Virginia (a mere cocktail glass' throw from Reagan International Airport, across the Potomac from Washington, D.C.). 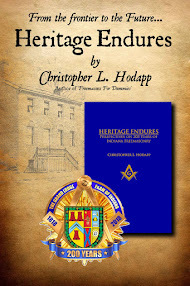 Eighteen Masonic appendant bodies, invitational groups, research organizations, and others will be holding their annual meetings, degree conferrals, elections, banquets, speeches, and other assorted sundry activities. There is also always a healthy dose of Masonic product vendors on hand. The direct link to reserve a room at the Hyatt with the convention rate is HERE. If you've never been to Masonic Week before, the real benefit of going is that it is the largest concentration of seriously proactive Masons from across the country and around the world you'll find on an annual basis, along with many of the best known Masonic researchers, authors, editors, and other personalities. While the bulk of the groups require existing York Rite membership as a precondition for their own admission (and a few are invitational only), you will still find plenty to keep you more than occupied for these three and a half days. And there is as much to be absorbed in the hallways, at the bar, or in the hospitality rooms as in the meetings themselves. Make new friendships from around the world, and rekindle old ones. Plus, if you've never been to Washington, D.C. before, this is the perfect excuse to go. I will tell you from experience that there is a 50/50 chance of the weather either bringing three feet of blowing snow, or 70 degree sun-drenched days. Sometimes both. That's just Washington in February. (Pack an extra set of underwear in your carryon bag in case your flights get canceled. Old hands know this.) But add a day to your trip to sightsee, and be sure you visit the Scottish Rite's House of the Temple no later than Thursday, because it is CLOSED Fridays and weekends. Visit the Capitol, the monuments, the Smithsonian, the unique Egyptian-themed Potomac Lodge, and much more. Have drinks and cigars at the Old Ebbitt Grill around the corner from the White House (you'll find Masons there nearly any night that week). Or go the other direction to Alexandria and visit the George Washington National Masonic Memorial, and have dinner at Gadsby's Tavern. There's no shortage of historic sites tied to Masons concentrated in the area. Historically, Masonic Week was long tied to the scheduling of the annual Conference of Grand Masters (COGMMNA), which was scheduled, in turn, to coincide with George Washington's Birthday. That was back in the days when the Grand Masters met every year in Washington D.C. at this time. Consequently, Masonic Week would happen the weekend before at the venerable Hotel Washington, which sat in the shadow of the White House. But sometime in the early 1990s, that connection got frayed by the Grand Masers taking their annual meetings on the road and cycling around the country. 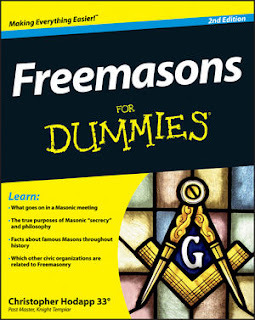 Still, Masonic Week always tried to arrange itself to happen the weekend before, or thereabouts. Weather in D.C., the Super Bowl, and other factors have put pressure on organizers over the years, so this year's event will actually follow the Grand Masters' Conference in Rapid City, South Dakota that happens February 16-20th.